Want to be hired by Albrecht? We need more team players! Were a great growing team! 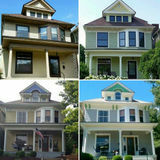 Were here in Louisville preforming interior/exterior residential/commercial. We also have out of town work with perdium rates! We have benefits! We have holiday pay! We have 1 paid day per quarter for you!! All of this for the right candidates!! Help me help you! Call me and show me what you got and we will reward you!! !